Why take classes with StarFire EMS?
. . . I passed the NREMT! I just wanted to say thank you so much for all that you taught us . . . . You were so helpful and willing to do whatever it took to make us successful. 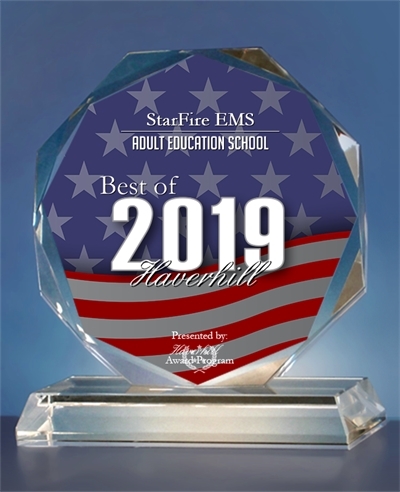 StarFire EMS has been awarded the Best of Haverhill Award for Adult Education for 2019. 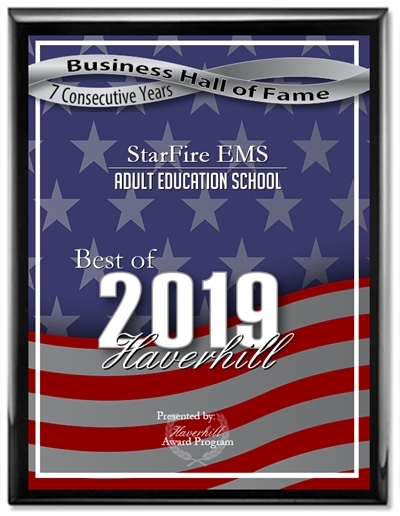 This is the seventh consecutive year we have received this award, making us continued members of the Business Hall of Fame! Tuition deposit and payment options at bottom of first column here.